Before conducting the primary research on the how Business Process Outsourcing (BPO) has impacted upon financial performances in the UK banking sector in the recent economic downturn, I reviewed literature available on the same issue to determine what other researchers have said about the subject. This was also important in order to correct data available about the past performance of UK banks especially before the economic downturn (Choudhry & Landuyt, 2010). A case study of Barclays Bank PLC has been taken to serve as representative study sample of how BPO has impacted financial performance of UK banking sector. The review contains analysis of the financial statements of UK based banks before and after adopting BPO policy to improve their performances during the crisis. There is literature for and against the initiative since some of the past researchers and analysts have concluded that BPO had more negative impacts to the financial performance in the UK banking sector (Halvey &Melby 2007, pg. 16-18)..
On the other hand, others argued that that the initiative has greatly helped the UK banking sector to survive the economic downturn and majority of the UK banks that implement it have recorded positive financial performance in the recent past. Therefore, the review provides a control measure to avoid biasness or straying during the actual research. It is also provides a clear picture of the expected findings and therefore will be used in determining the best data collection methods and how to select the study sample during the actual research. Findings during the literature review will also be used during the analysis of the data collected during the actual research since it will serve as a reference in the evaluation of the primary findings. Lastly, literature review provides credibility to the findings of the primary study especially certified documents and financial statements from the studied UK banks and impacts of Business Process Outsourcing on their financial performance during the economic downturn, previously experienced in the region. The literature review generally contains information on the recent economic downturn that hit UK banking sector and how several players reacted in order to remain in business and ensure that their financial performances were stabilized. More specifically, the review focuses on how UK banking sector opted to BPO to overcome economic crisis just like other sectors such as information and technology organizations who have been known as the key players on Business Process Outsourcing for long time (Gregory & Taylor, 2006).There are contradicting information on how implementation of Business Process Outsourcing has impacted upon the financial performance of the UK banking sector and this literature review intend to analyze both finding in favor of BPO and those against the initiative in order to have a concrete foundation during the actual primary study (Sople , 2007). Literature reviewed basically is obtained from financial statements of major UK based banks with more emphasize on the performance of the Barclays Bank PLC. Books, business journals, and internet data sources have been reviewed to ensure that the conclusion made at the end is diversified enough to give the expected results of the primary research. Just like other parts of the world, United Kingdom (UK), experienced economic downturn that left no sector unshaken. Some organization collapsed during the hard time while others have been left struggling to remain in business. Though economic downturn in the UK started little bit earlier, actual financial crisis started to show its impacts in the year 2007. This situation made governments in some of the wealthiest countries in Europe to intervene and save their financial institutions by bailing their debts. According to economists from major universities in the UK, the crisis had several dimensions since economic stability is the central concern of every nation and it affects all sectors in that country. However, they added that there were three dimensions of the economic downturn that were more crucial and require more attention (Padmalatha, 2011). According to their analysis, the first impact was build up of debts to both house and corporate sectors in the UK. Another dimension was the international monetary instability and refusal of the rest of the world to finance UK trade deficits. Eventually, this downturn resulted to ecological crisis on the world economy bearing in mind that UK is one of the great players that boost stability and growth of the international economy. According to financial analysts, development in the above mentioned dimensions worsened during the year 2008 and financial crisis based on accumulation of debt was experienced all over the United Kingdom. There was also a similar problem in other European countries where major financial institutions botched and other called for help from the government through central banks. Banking sector was the most affected institution in the UK since it had direct experience of money shortage crisis. In places such as Iceland, economic problems were very severe due to it’s over dependence on the finance sector. It’s banking system were no longer reliable forcing the government to borrow funds from IMF and other countries in order to keep the economy moving (Canwell & Sutherland, 2005). It is in 2007 when most of the banks in the UK started to go public about the crisis that initially believed to be major problem only in the US where it is believed to have started. The first one to air its cries was the Investment bank BNP Paribas that told its investors that they could not withdraw money from its funds because it could not value the assets in them. This was simply because of its total evaporation of liquidity in the market. According to financial analyst in the banking sector, this was clear indication that banks were not willing to do business with one another due to financial crisis resulting. Consequently, the European Central bank was forced to pump 95 Euros into the banking market in order to improve liquidity to avoid similar crisis in other banks. A similar move was also experienced from the Bank of Japan, Bank of Canada and the US Federal Reserve. There rest of the world was very aware that banking sector financial crisis was not only a problem to the UK economy but to the rest of the world making then to come to aid (Bank of England 2009, pg. 9). By August 2007, The Fed was forced to reduce its lending rates to the UK banks by half of a percentage to 5.75 % warning that the credit crunch could be a hindrance to economic growth. According to the BBC report, rates at which banks in the UK lend to one another went very high above the Bank’s of England lending rate. This was a clear indication that the crisis had reached its extreme level and banks were no longer concerned with one another performance but their own survival. BBC also revealed that the situation was so tough that the Northern Rock had to request for emergency funding from the Bank of England in order to manage the crisis which it was granted. This was generated by the fact that that Northern Rock relied heavily on the markets instead of savers’ deposit to finance its mortgage lending and the rise of the credit crunch had dried up its funding. Two days after the funding from the Bank of England, depositors run to the bank to withdraw their funds in fear of being victims of the crisis, which was the biggest run to the history of British bank in the for more than a century. This called for government intervention to guarantee their savings. According to Robert Petson, a BBC business news editor, “The fact that The Northern has had to go cap in the hand to the bank is the most tangible sign that the crisis in financial markets is spilling over into business that touch most of our lives.” Robert added that the financial crisis experienced by the banking sector had severe negative impacts that were carried forward to the general public (Kobayashi, 2004). Funding from the Bank of England did not provide a lasting solution to financial crisis that the UK banking sector was experiencing. Small banks that had little investment went out of business and those that survived announced great losses. The Swiss bank UBS was the first World’s first top bank to declare losses that amounted $ 3.4 billion that was related to the crisis. This made its chairman and chief executive to resign from their positions. Few months later, the investment bank revealed a $ 7.8bn exposure to bad debt making the general public to lack confidence on the on the banking sector. Generally, the recent economic downturn experienced in the UK and other parts of the world created a worrying situation among the banking sector. The major cause of the financial constraints facing the banking sector was caused by lack of enough funds. According to the reports released by the world bank, these financial constraints made the banking sector to increase its interest rates that it charges to its customers and while borrowing to one amongst other banks. This made it difficult for banks to maintain their liquidity ratio and consequently unable to meet their expenses and pay their debts. This has made the banks in the UK to dispose most of their assets in order to settle their increasing debts. Some banks have also been forced to close some of their branches in order to reduce expenses by reducing the number of employees. There has been an increase in the issue of shares among the organizations in the banking sector which is believed to be one of the efforts of the players in the sector to obtain extra funds to keep their businesses moving. Some banks in the UK have entered into collaboration with some of the companies in other parts of the world where they intend to obtain financial support and business opportunities in to improve their financial situation and avoid making more losses. It should be noted that this financial crisis did not only affect the banking sector but the whole economy since the sectors servers all stakeholders in the UK economy. These include the government institution, public and private organizations and the general public (International Monetary Fund, 2003). To save the situation, the Bank of England had to come in and save the situation by lowering its interest rates to 5.5%. After considering several proposals by the private sector to requesting for financial aid such as the Richard Branson’s Virgin Group the government of England decided to nationalize the Northern Rock. It was also forced to reduce its interest rates further to 5% in order to enable financial institutions to overcome the crisis. This was followed by its consecutive announcement its £ 50bn plan to help banks with high debts in to allow them to swap potentially risky mortgage debts for secure government bonds (Mehrotra, 2005). The Royal Bank of Scotland also announced a plan to raise money from its shareholders with £ 12bn right issue, which is the biggest in UK corporate history. The firm also wrote down £ 5.9bn on the value of its investments which was also the largest write-off yet for the British bank. One of the giant banks in the UK, Barclays bank also announced its intentions to raise £4.5bn to boost its balance sheet. This initiative made foreign investors to increase their existing holdings on UK banks. For instance, Barclays bank sold its shares to new investors such as the Qatar Investment Authority and China development bank. This has made the firm to be the second British bank to after the Royal Bank of Scotland to come up with such initiative to raise money as a measure to ease the impacts of the credit crunch in the region (Kilmister, 2008). Another initiative that key players in the UK banking sector implemented during the recent economic downturn is that of project out sourcing from other countries where financial situation are favorable so in order to reduce their expense also improve on their performance and returns. What do you think Business Project Outsourcing stands for? Business Project Outsourcing (BPO) basically refers to the process why by a company hires another company through contracting to handle business activities that are less sensitive so that the hiring company can concentrate on the most important issues. This may also arise where one company lacks adequate personnel that is qualified enough to handle certain activities within its operations. However, BPO should not be mistaken with information technology outsourcing which has been there for quite a while. Information technology (IT) outsourcing focuses lonely on employing a third party to carry out IT related activities on the behalf of the hiring company. Contrary to this, Business Project Outsourcing focuses on all activities of the company. Therefore, Information technology Outsourcing can be part of BPO (Brown & Scot 2005, pg 43). Initially, BPO was normally common in activities such as payroll preparation, employee benefit management and other activities that were less influential to the hiring company financial performance. Current, BPO has grown and organizations are outsourcing activities that are not core to the primary business strategy such as financial and administration processes, call center and customer service activities, human resources functions and accounting activities amongst others. It includes both offshore and onshore BPO with major global key players including US companies such as IBM, Hewitt Associates, Accenture and Asian companies such as Capgemini, Genpact, TCS, Wipro and Infosys amongst others. All these organizations offer cheap but excellent services to companies that are not well equipped to carry out certain responsibilities or which could be more expensive if carried out by the staff of the hiring company (Weth, 2007). The economic downturn and the consequent economic crisis experienced recently in the UK opened the UK financial services sector, especially the banking sector, to venture into Business Process Outsourcing in order to minimize their expenses. The UK banks are currently using both offshore outsourcing and onshore outsourcing with most of the organizations serving UK banks coming from US and Asian countries such as Indian, Thailand and China among others. Other than information technology, other activities that UK banking sector is currently involving BPO include: customer management, policy administration, claims processing services, payment processing, HR services, finance and accounting services, procurement and sales and marketing among others. According to the reports released by the UK based researchers on the trends in outsourcing, banks in the UK are not using business process outsourcing providers close to home (Davies & Hobday, 2005). Barclays bank PLC is a good example of how key players in the UK banking sector resulted to Business Process Outsourcing as survival tactic to over financial challenges which came with the economic downturn. According to Angela Potter, Barclays’s head of international trade and cash solution, “The decision to outsource our trade back office processing during 2004 was made to allow us to concentrate on our core competencies of relationship and service expertise. We selected ANBABN to provide the processing capability to support our customers, current and future needs in the changing and competitive trade market place”. Potter declared this during a meeting with the Association of European Banks where she was require to explain the reason behind her banks over reliance on other organizations for none core services when the region was experiencing an economic crisis (ABN AMRO, 2005). According to view, Barclays Bank Plc started its outsourcing journey back in 2003 when it outsourced several of its non- transactional services to the third part. It should be noted that Barclays is one of the key players in the UK banking sector with over 800000 employees. The bank is also one of the top ten by market capitalizations globally. Its idea to outsource some services came as a source since this meant that majority of its employees could be rendered jobless which was not a good idea to many especially with the state of the economy that was prevailing in the UK by then. However, potter added that the move was a necessary in order to prevent the company collapsing just like other players in the sector. According to her, those were desperate moments and they require desperate moment for the bank to remain stable. The core intention behind this move by Barclays bank was to ensure that non- core activities were left in the hands of best breed suppliers so that the management of the bank could focus on core competencies (House of Commons Treasury Committee, 2009 pg. 56-57). Barclays bank ventured into BPO so that it could establish the most favorable model for its day to day transaction services that was going to not only enable it to reduce expanses but also extend its functionality in partnership with its strategic suppliers. It is worth noting that trade service business is the key element in of the firm’s overall customer proposition and the crisis experienced in the UK was a hindrance making it to look for a way to turn what was essentially a static business with fixed and extremely high costs into an growing business with variable cost structure that could easily be predicted. Initially, Barclays bank business in the UK was distributed over three processing centers with 250 employees (ABN AMRO, 2005). Other strategic options that Barclays considered included direct investment or outsourcing to an oversea bank that served as a partner. This initiative was intended to improve the bank’s trade processing, reduce its costs in relation to infrastructure and people, improve its trade capabilities and establish workable, non competitive long term partnership with the outsourced company. After considering all these factors, Barclays bank then chose to outsource the processing part of its trade services. This responsibility was offered to AMNAMRO company .according to the statement by the managing director in charge of banking UK Barclays, John Callender, “Outsourcing is a positive strategy. It will change your cost base and transform your business. However, successful outsourcing depends on choosing the right supplier, one that not only meets your requirements but is also a good cultural fit”. (ABN AMRO, 2005). Barclays banks was confident enough that ABNAMRO could deliver successful outsourcing services since it had been in trade services provision business for more than 175years where it has completed over 35 successful outsourcing partnerships. Major services that were outsourced by Barclays bank included front and back technology, enhanced customer service and core processing capabilities. It is worth noting that Barclays also outsourced other services such as information technology from other oversea service providers. Generally, key players in the UK banking sector opted to Business Project Outsourcing as survival tact in order to overcome financial crisis that had resulted from the economic downturn that was experienced in the region. How Business Process Outsourcing impacted upon financial performance in the UK banking sector. Though Business Project Outsourcing was seen as one of the solution to financial crisis facing the region by major players serving in the banking sector, this move was not welcome by all people in the UK. There are those who felt, especially economic analysts, felt that the initiative could result to increase in unemployment to the UK citizens making their lives more difficult especially in the times when the country’s economy was not doing very well. Other felt that outsourcing could result to an increase in the out flow of money from the country hence worsening the unstable financial crisis experienced in the region (Dominguez, 2005). On the other hand, there are those who welcome the idea and felt that players in the banking sector had the right to use all ethical methods possible to save the sector from collapsing. Economist in favor of the idea argued that the banking sector was the most important sector of the economy since it serves other financial institutions and other sectors in the economy in order to promote growth and development throughout the United Kingdom. However, Business Process Outsourcing had immense impacts to the financial performance of the key player in the UK banking sector that is the core objective of this research (Primus D 2008). Implementation of Business Project Outsourcing by the banking sector resulted to several positive impacts that enable the sector to remain in business all through the economic downturn. The first benefit that the sector enjoyed from this initiative was improvement in the banks’ financial performance as result of the drastic reduction on cost and improvement in their services to their customers. According to the managing director in charge Barclays bank operations in the UK; labor in the UK had become very expensive due to economic hardships that were experienced in the region. She argued that the amount of money that was used to hire an expert in the UK could hire three similar experts in the developing countries or in countries where economy was doing well. Therefore the banking sector opted in outsourcing their projects from other countries where it was less expensive in order to cut down their costs. This impacted the banking sector of the UK positively because they started to make some profits and consequently able to pay their debts and overcome the economic crisis that was being experienced in the region. The sector also improved its financial performance due to access to modern and up to date technology and employee skills that was not available in the UK. According to the officials from Barclays, workforce in Europe is not as innovative like that from developing countries where technology keeps on changing every time in order to catch up with the developed countries where individuals feel satisfied with their achievements. According to the report released by World Bank about the hardworking of people and the number of innovation, developing countries are doing quite better than developed ones. The banking sector is not also left behind and therefore banks from UK were able to outsource projects from these countries all a lower cost. Technological change in these countries such as in China and India also helped the banking sector to improve their services to customers hence making good returns from outsourcing . Another positive impact of outsourcing non-core process to the UK banking sector was the ability to concentrate on strategic operations of the bank hence improving on their financial performances. According to Potter, Barclays bank was able to concentrate on more important process especially on how to survive the economic downturn that was prevailing in the region without distractions since most of it none- core processes were done on offshore companies in countries such as India and china. This enabled the bank to improve on its financial performances even during the economic crisis an advantage that was not enjoyed by UK sectors that did not consider outsourcing as a measure to survive the crisis (Maurice, 1999). This was confirmed by ABN AMRO spokesperson, Daniel Cotti, who argued that “As cost pressures intensify, financial institutions in the UK are redefining the way in which they provide trade services to their customers. The agreement with Barclays provides them with access to ABN AMRO’s global scale, expertise and ongoing investment in innovative, world-class transaction banking technologies, while they can focus on retaining and building on their customer franchise”. Therefore it is evident that Business Process Outsourcing during the economic downturn enabled the UK banking sector to improve on their financial performances regardless of the financial challenges that banks in the UK were facing (Click & Thomas, 2005 pg 88). The move has also enabled UK banks to pay out its debts that they had incurred during the crisis. According to the report released by the Bank of England during the year 2008, many players in the UK banking sector had acquired funding assistance from the Bank of England in order to finance their operation due to financial crisis in the region. This has made most of the banks in the UK to have big debts to the central bank that take a large amount of funds to finance every year. This made the banking sector to have problems in paying their employees in the UK since there were no funds left after paying large amount to the debts with the Bank of England (Plunkett, 2008). In order to remain in business, the banking sector has opted to outsourcing to outsourcing some of its process from the developing countries at a cheaper cost. Consequently, UK banks have been able to reduce their operations expenses hence having more funds to finance their debts. This decrease in debts has improved their financial performances and now their investors have all the reason to smile since BPO will enable them to enjoy higher dividends in the near future contrary to what financial analyst predicted during the beginning of the economic downturn in the UK that was believed to have started in the USA (Hirschheim, 2009). Outsourcing of none-core process by the UK banking sector has enabled banks to maintain their assets hence maintaining a positive financial performance. According to the report released by the association of the UK banks that was held in London 2009, banks in the UK had opted to selling their major assets in and outside Europe so that they could generate more funds to finance their expenses and to service their debts. This move had raised attention to the country’s economic growth experts who felt that the banking sector was slowly by slowly collapsing. The international stakeholders developed their interest on what was happening in the sector after some banks in the UK went out of business (McIvor, 2005). They association request the Bank of England to lend more funds to players in the banking sectors in order to keep them in business during the economic crisis. However, funds from the Bank of England did not provide a lasting solution to the crisis and UK banks continued to dispose their assets in order to meet the demand of their employees, investors and finance their ever increasing expenses. However, implementation of BPO in non-core process such as running and management of ATMs by banks such Barclays reduced operation costs resulting to increase in profits hence no need to dispose the firm’s assets. This has increased the sectors’ stability hence improving it financial performance (International Monetary Fund, 2003). Through outsourcing or non-core processes, players have been able to expand their business to other parts of the world hence diversifying their risks. According to the report released by the Association of European banks, most of the banks in Europe have expanded their trade services to other parts of the world either by opening branches or entering into partnership with companies from the countries of their choice. Most of the countries that are currently served by European banks include South American countries, south Asia and those from Africa such a Nigeria and South Africa. Banks from the UK were dominated over 80% of the European banks offering trade services to other countries outside Europe. According to financial analysis from Oxford University that was released in the year 2009, participation of UK banks in BPO had given players in the UK banking sector a more advantageous in running businesses in other countries outside UK to their exposure and experience they have gained from their outsourcing initiatives. Most of the UK banks are entering into trade partnership with their services providers and some are even acquiring these companies in order to expand their businesses. This has enable UK banking sector to experience high financial growth from operation outside Europe more that that operations within UK. These are the fruits of Business Process Outsourcing that the UK banking sector is going to enjoy for many years to come. 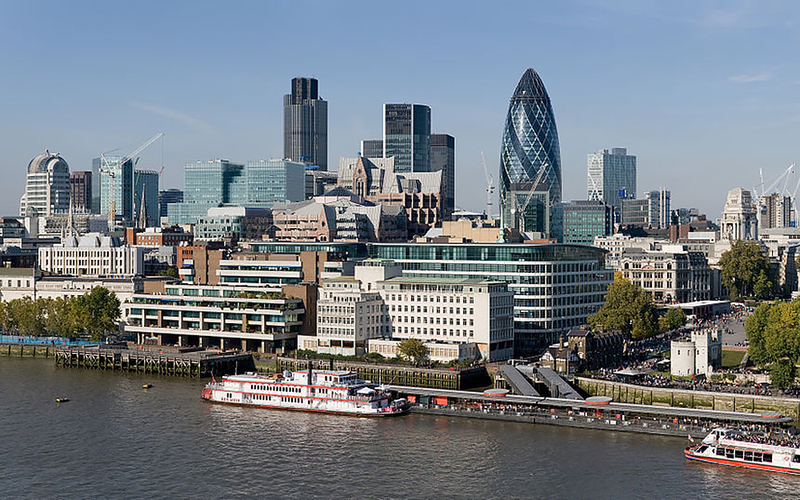 Analysts argue that UK banking sector has received substantial financial boost from offshore businesses that begun as mere process outsourcing activities (Indian Institute of Bankers, 2010). Considering the case of the Barclays bank, a key player in the UK banking sector, Business Process has enabled to cut down its costs and boost the financial performance of the firm. According to the Overseas Outsourcing Director at Barclays, Geoff Smith, “Despite the fact that some of our baseline assumptions were flawed, our overall business case has been met and the quality and service we receive is good indeed” he went ahead to confirm that Barclays bank has reasonably cut down its expenses through outsourcing. He also added that the company was able to enhance its service levels to its customers and the company has created a firm foundation to expand its businesses to greater heights (ABN AMRO 2005). According to Geoff, business outsourcing has lessened the risk involved in banking sector and Barclays bank has changed the cost dynamics of the whole the whole of its UK trade business. For instance its partnership with ABN AMRO has enabled Barclays to expand its business by offering new trade products and tools to its customers in shorter duration than before. This has enabled it to improve on its customer retention hence improving its financial performance. Generally Barclays bank has been able to boost it financial performance through outsourcing by ensuring shorter implementation of its policies, by moving from fixed to variable costs model, reduction of FTE costs and lowering its business risks among others (Gregory, 2004). Business Project Outsourcing may have provided a lasting solution to UK banking sector but still there are few negative impacts that this initiative has to financial performance of the banking sector that cannot be left unmentioned. This was the opinion of the Barclays director of outsourcing department who argued that though the move had saved some of the UK banks from the financial crisis experienced in the region, it has resulted to the decline of financial performances of some of the players in the sector. He adds that these challenges have also hindered key beneficiaries of business outsourcing such as Barclays bank from benefiting from Business Process Outsourcing (University of Michigan 2010, pg. 76-77). One of the negative impacts that some of the players in the UK banking sector experienced as a result of implementing business outsourcing during the recent economic downturn is financial straining that made some of the banks to go out of business. The initial stages of implementing business process outsourcing (BPO) are not normally friendly to the financial performance of the hiring company due to two reasons according to Smith, Managing Direct, in charge of offshore outsourcing at Barclays bank. First of all, the hiring company spends a lot of money in stabilizing its partnership with the company from which it intends to outsource. This two calls for more attention that interferes with running of the business operations at home. On the other hand, the company offering the outsourced services is not fully acquainted with the operations handed to it by the hiring company. These two factors make the hiring company to incur more cost at the beginning and less returns (Boulle, 2009). Some of the players in the UK banking sector experienced similar trend when they opted for outsourcing as measure to survive the economic downturn that cause financial crisis in the sector. This was common with small banks and others which had bigger debts from the Bank of England and other financial. It should be noted that the sector had already been affected by the crisis and there were no adequate funds at the custody of many UK banks when the outsourcing strategy was started by big banks such as Barclays. Some of the players in the sector, especially the smaller ones, blindly followed the trend and without knowing it declined their financial performances due to increased cost and little returns from the business processes abroad. These banks lacked enough funds to finance the initiative through its stabilization period and finance its other expenses and debts. Consequently, these made losses in both home and offshore businesses resulting to a decline in financial performances and some even when out of business Molyneux & John, 2010). Another negative impact that UK banking sector has experienced as a result of involving in Business Process Outsourcing is large amount of losses that some of the UK banks have been especially in the last ten years. Some of the UK banks did not take the issue of Business Process Outsourcing with care and they just took it as solution to the financial crisis that their businesses in the UK was experiencing. This made some of the UK banks to enter into partnership with offshore companies without considering their abilities to deliver or the political situations surrounding these companies. Consequently, this has made these banks to make losses in the outsourced businesses since the companies offering services could not meet the expectation of the hiring company. Unfavorable political situations in such countries such as those from the Asian countries have made services lending companies to collapsing making the hiring banks in the UK to make losses. This uncertainty in outsourcing process services made some banks from Europe to experiences losses from the processes outside the country and this has made the UK banking sector to have unfriendly financial performances in the recent past especially during the economic downturn that hit the region (Bank of England, 2009). There was also a problem of inconsistence in management that made the banking sector to decline as a result of process outsourcing. Some of the UK banks did not give their trade process conducted outside Europe the adequate attention in terms of management. With the current advancement in technology, head offices of these banks relied on information conveyed to the head office by use of technological means to make major polices. They did not follow deeply what was happening on the ground. This inconsistence in management made them to experience losses especially where the company lending the outsourced services failed to deliver the services according to the terms stated in the contract. Therefore, losses made by UK banking sector stakeholders in their international businesses were being financed by profit made by the mother bank in the UK creating financial problems to the firm. The situation became worse during the economic downturn experienced in the region where the profit made by the banking sector went down and they could not finance its international losses hence decline financial performances in the sector. Lastly but not least, Business Process Outsourcing made key players in the UK banking sector to concentrate in international businesses such as investments and entering into partnerships with companies from other countries hence forgetting the importance of the business back at home. According to the managing director in charge of Barclay bank international outsourcing Mr. Smith, majority of the banks in the UK shifted their trade processes from Europe during the economic downturn in order to avoid making more losses or being force out of business. This move made them to neglect the importance of their trade services in the UK making them to lose local customers. According to the report released by world bank early 2010, this trend is a result of Business Process Outsourcing activities that have made the UK banking sector to be attracted to business outside the region. This too brought down financial performance of the UK banking sector especially in its trade activities within the region (Wadsworth, 2006). Considering how Business Process Outsourcing impacted the financial performance of the UK banking sector during the recent economic downturn, it is obvious that the hand both positive and negative impacts to the UK banking sector. Other than when one of the small banks in the sector was used for the study (Molyneux & John, 2010). Including information about the economic downturn in the review and how key players in the UK banking sector implemented Outsourcing of process services during the crisis give serves as the foundation while analyzing how the move impacted the banking sector. It could be senseless to analyze the available information on how banking sector financial performance was impacted by Business Process Outsourcing without considering what led to it, how it took place and who were the key players in UK during the economic crisis. Therefore inclusion of information about other activities related to Business Process Outsourcing make the review more factual and reliable when it comes to analyzing finding from the actual research. Considering both positive and negative impact of BPO to the financial performance of the UK banking sector during the recent economic downturn, it is evident from the literature reviewed that the move was more beneficial to the sector though some banks were negatively affected by it. It is clear from the case of Barclays bank that, UK banks that implemented BPO well were at more advantageous financial situation during the crisis that those who decided not to outsource (Sheppard, 2006 pg. 93). This is evident from the cases study of Barclay Bank which was able to cut down its costs and improve on its customer satisfaction and expansion of trade services regardless of the financial crisis that was experienced in the UK due to economy downturn. For instance, Barclays bank Plc was able to outsource non-core process services from other companies such as ABNAMRO and other companies found in developing countries where labor was cheap and efficient other than in the UK (Thompson, 2004). Therefore, it is evident from the review that generally, implementation of BPO by UK banks during the recent economic downturn improved financial the performance of the UK banking sector.